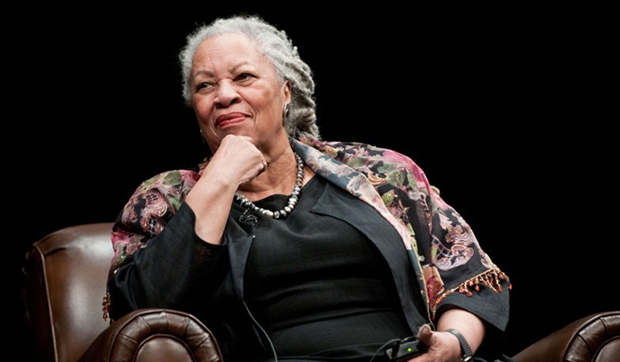 I’ve loved Toni Morrison‘s work since I got to read Beloved as a Junior AP English student in high school. It is a beautiful depiction of a horrific experience and shared the emotional impact of slavery in a way that only someone as gifted with storytelling and language use as Toni Morrison can. Her take on freedom and the way adults try to coerce children into conforming to the status quo in The Big Box is remains one of the best kids books that I’ve picked up. If you’ve been around this blog at all in the last year, chances are you’ve read at least something from me about Jennifer Hudock. I love her dark fantasy stories, and she has the added bonus of being a genuinely kind person. Most of her work is available in electronic forms, so if you like podcasts and ebooks, there are numerous stories for you to check out. If you prefer reading on dead trees, Jenny is releasing a limited number of print books for her novella The Goblin Market! She released the first version as a podcast, which is great. Her story pulls on Christina Rossetti’s poem by the same name, but develops a path completely its own. Jenny’s creates emotionally resonant characters who often act in surprising ways. I already ordered my copy, and my excitement pushed me to write all of this down. So go and buy your print copy. Or the ebook copy for whatever ereader you own. Or check out her podcast. Jenny’s captivating writing will have you searching through her archives to get more. I’m extraordinarily excited for this anthology. Jennifer Hudock posted that she wanted to edit an anthology full of stories that look on the other side of the glass. And so she did. The proceeds go to the Letters and Light Organization. It comes out soon. July 9! She’s already posting excerpts from the short stories, so you get an idea of what made the cut. The three that’s she’s posted so far have me scared and smiling. These are some of my current favorite authors, which makes having them all in one place pretty fantastic. So check out the excerpts and be sure to leave your comments on Jenny’s site. And don’t forget to buy the entire anthology on July 9! Hey! May is almost over, and that means that it’s nearly time for me to give away whatever Dark Journeys you want. In fact, today is the very last May stop for Jennifer Hudock. Head to Scrivener’s Circle and find their interview, and leave a comment! And if life kind of got in the way, and you got behind on the tour, have no fear! I’m out of town at the moment, so I won’t be drawing until sometime around the second of June. Take a few minutes and catch up on the tour!